It was an awesome weekend of straight 24 hour programming. 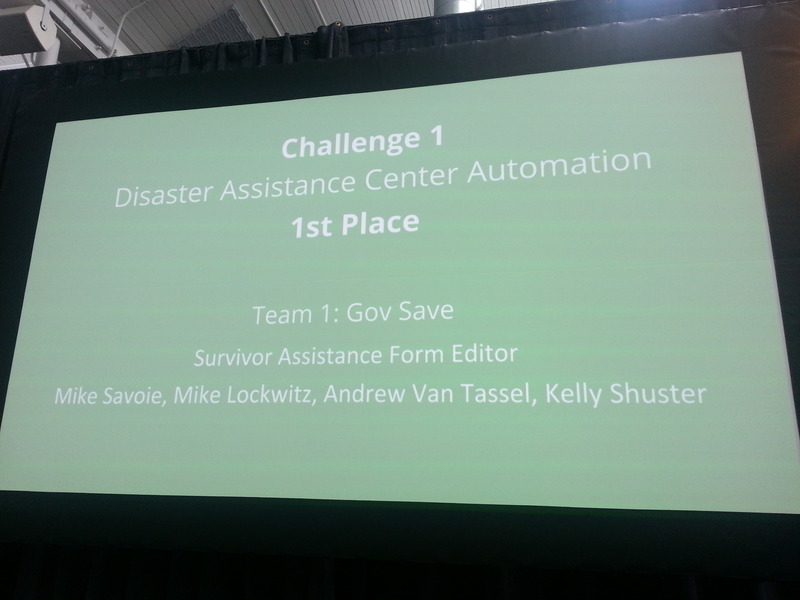 Thanks to Galvanize, Google and the State of Colorado for hosting the #GovDevChallenge and also for awarding us with first place for Challenge #1! A drop-in solution that works with the existing paper/pdf process used by DACs. Start with your mobile phone, enter you information once. Arrive at your chosen assistance center to complete the process. 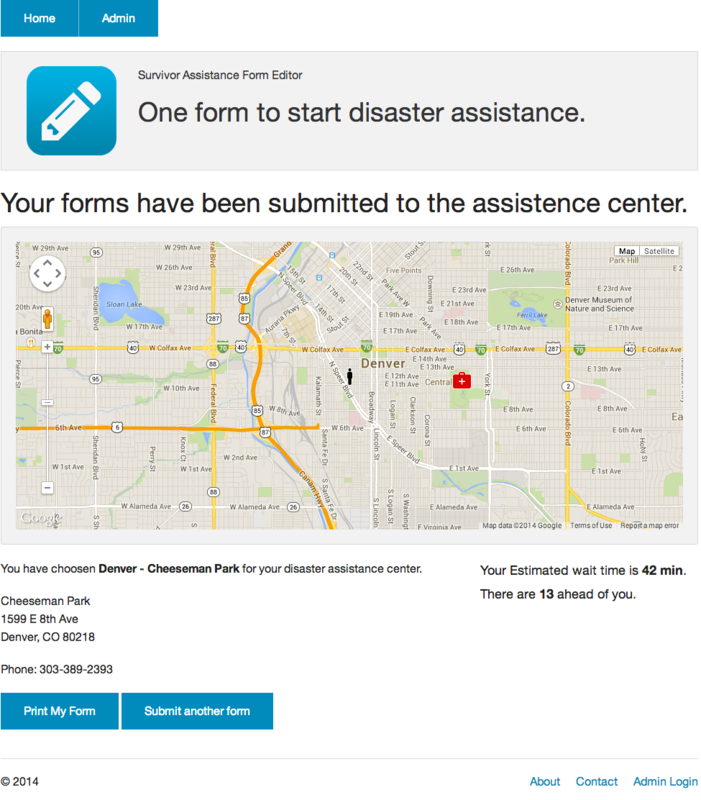 After your forms are submitted, track and get notifications of the status. The DAC will know your ETA and have the dozens of forms filled out when you arrive. With your ETA, the DAC will have on demand staffing for the volunteers. 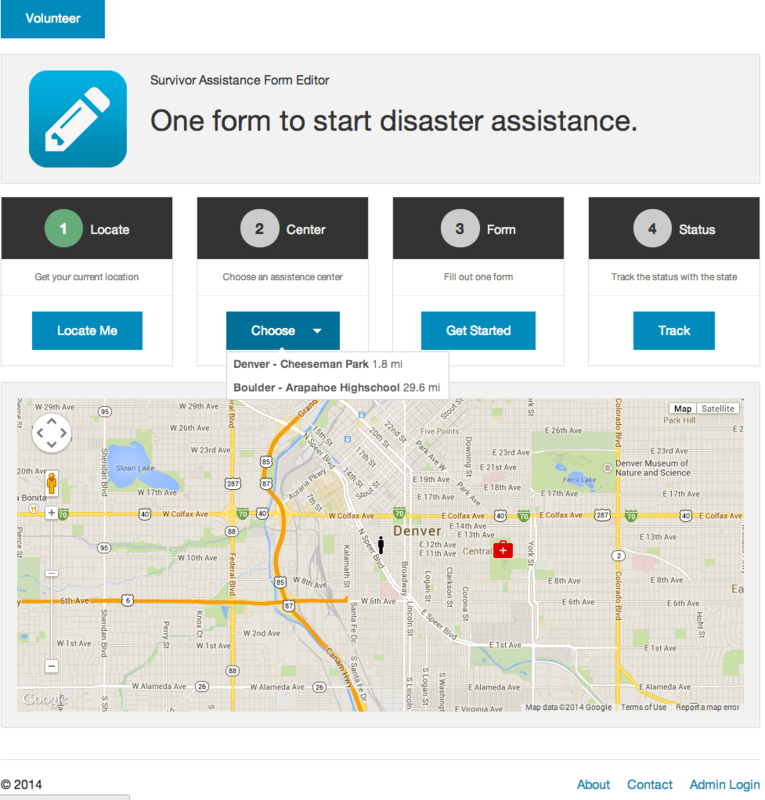 We also submitted this app to the Accela Construct App Challenge and received 2nd place. 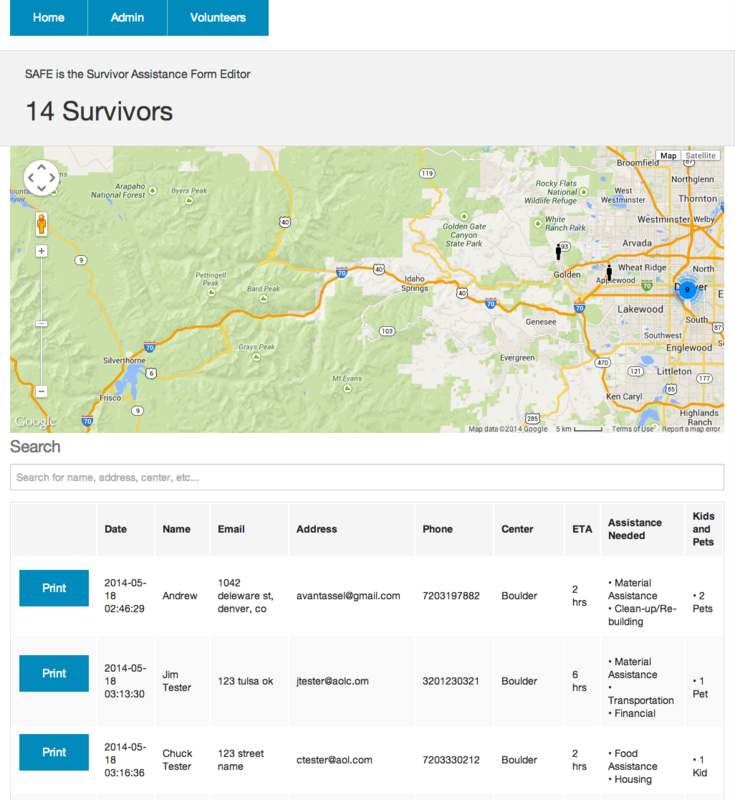 GovSafe is now in the android store and shows realtime RedCross shelters for disaster assistance.